Each summer students from all 8 campuses have the opportunity to register for this 2 day class that takes place at our Des Moines campus. This extensive waxing class will help students earn extra cash! It is a hands on class working with live models. 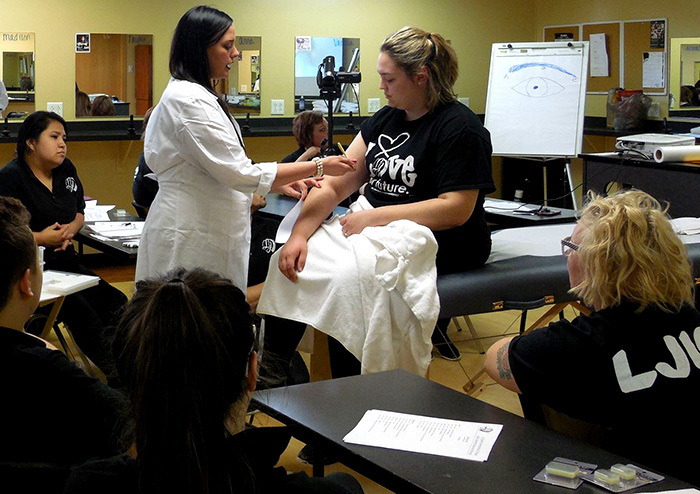 Students will learn Bikini, Chest, Back, Arms, Underarms, Legs, Toes, Ears, Necklines, Brows, Facial, and Nose waxing. And receive a Satin Smooth certification!